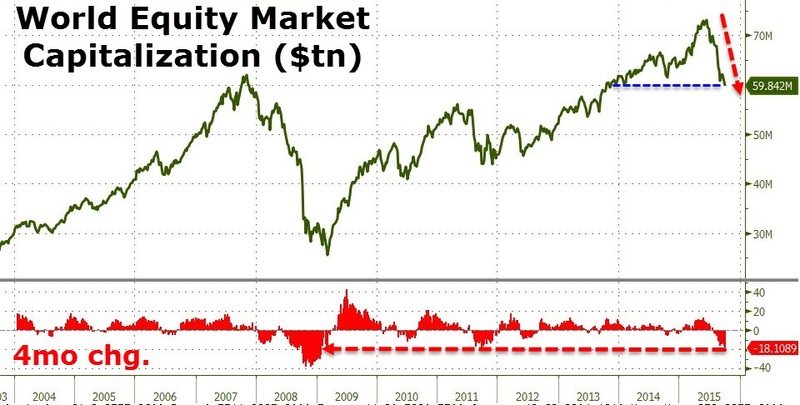 Is The Fed Preparing For QE4… Or Even Worse – “Helicopter Money”? Since the start of June, global equity markets have lost over $13 trillion. This might be thought of as lost "collateral" for the mountains of pyramided global debt. 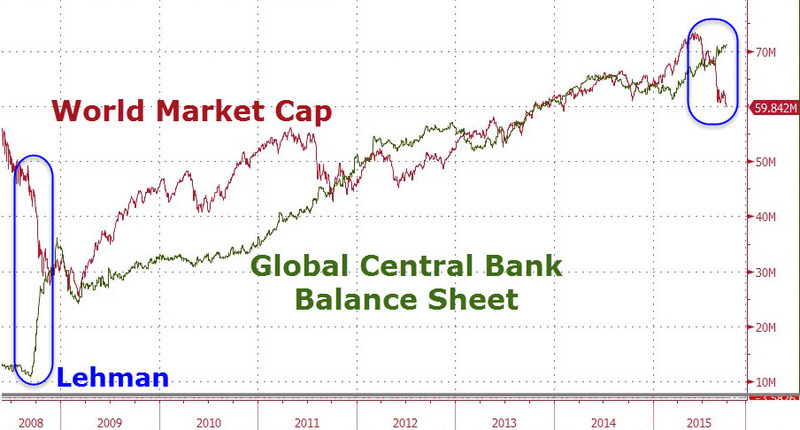 This is frightening the Central Bankers! "world market capitalization has fallen back below $60 trillion for the first time since February 2014 as it appears the world's central planners' "print-or-die" policy to create wealth (and in some magical thinking - economic growth) has failed - and failed dramatically". Despite a steady diet of global rate cuts and balance sheet expansion around the world, the last 4 months have seen an 18% collapse - the largest since Lehman. WHAT ARE THE CENTRAL BANKERS' OPTIONS? Of course you never know for sure, but the general thinking is there are three likely central bank initiatives in our future. They may be rolled out or unleashed in a coordinated fashion to stem a potential economic crisis. IT WIIL ONLY TAKE THE PERCEPTION OF A CRISIS TO UNLEASH A TORRENT LARGER THAN WE CAN CURRENTLY IMAGINE! Let me be perfectly clear, non of this will work in the longer term! But when you are trying to keep your job, the longer term is the least of your concerns. So how long will the Fed wait before acting? What might the FEd's trigger points be? Our longer term analysis on both the basis of linear regression and trade weighted dollars for the S&P 500 suggest ~1800needs to be held or matters could get quickly out of control for central bank policy initiatives. I find the views of Nomura's Bob Janjuah to very insightful and predictive. He sees the Fed "PUT" to be much lower than we do. "Where is the Fed “put”, and what would such a “put” look like? It is very early in the process and lots will depend on global policy responses and data outcomes, but I am happy to declare my view: the next Fed “put” is not likely until the S&P 500 is trading in the 1500s at least (so more likely to be a Q1 2016 item rather than Q4 2015); and in terms of what the Fed could do, clearly QE4 has to be in the Fed’s toolkit. However, considering the failure of global QE to generate sustainable global growth and inflation, and considering the Fed’s starting point, 2016 could be the year when we see negative Fed Funds as a way of getting money velocity moving up rather than down. ... while I think a US recession is merely possible rather than probable, the evidence is growing in my view that a global recession is more probable than possible. Certainly the global trade data are pointing to meaningful global growth weakness, backed by weak data from EM and large parts of DM too. And a quick look at credit markets, in particular the HY markets in the US and Europe as well as the EM credit space support my view of a global growth recession being probable and not just possible. So if a global growth recession is more probable than possible, then it seems clear to me that neither risk assets nor core rates markets are accurately reflecting this at this time – instead, they reflect the “more possible” scenario rather than “more probable”. 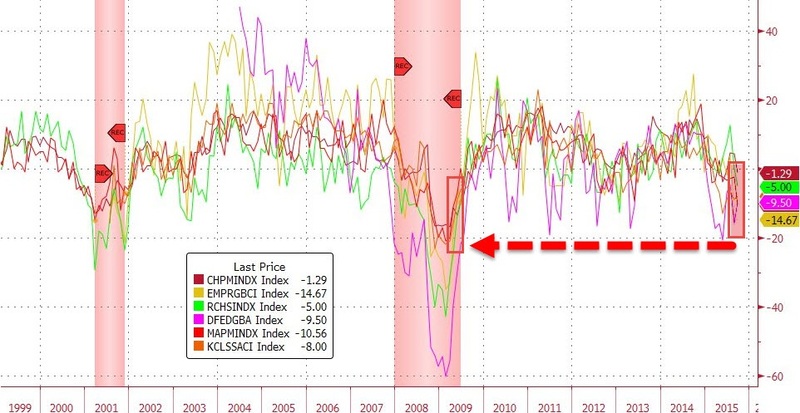 In other words, financial markets are NOT yet pricing for a recession, rather they are merely flirting with the idea. I suspect this largely reflects faith/hope in policymakers within market participants. The events of the past few weeks, both going into and after the most recent BOJ and FOMC meetings, should give those heavily invested in policymaker faith/hope a lot of food for thought." The Fed catalyst may not be a market level but rather the potential worry of an Economic Recession. A scare that may galvinize the Fed into action? My research shows for the first time since 2009, all six major Fed regional activity surveys are in contraction territory. WHAT THE MAINSTREAM MEDIA IS NOT SHOWING - But the fed is acutely aware of! 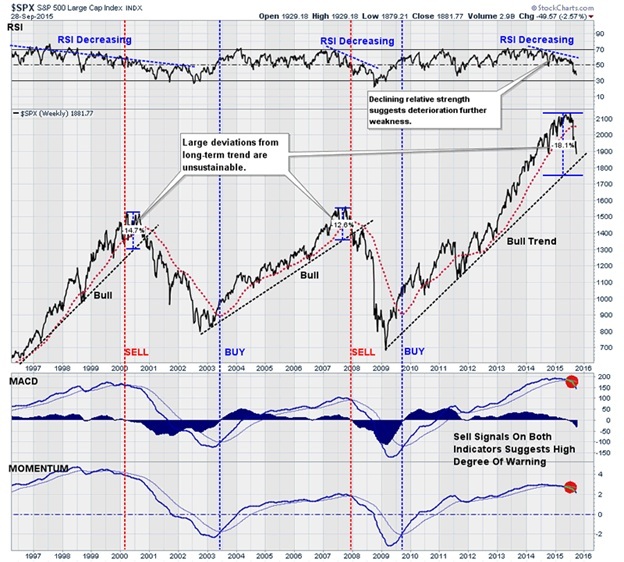 EXPECT THE FED TO HIDE BEHIND THE COMING MARKET REALIZATION SCARE! QE4, Helicopter Money (OMF), NIRP and Collateral Guarantees are coming soon! Gordon T Long is not a registered advisor and does not give investment advice. His comments are an expression of opinion only and should not be construed in any manner whatsoever as recommendations to buy or sell a stock, option, future, bond, commodity or any other financial instrument at any time. While he believes his statements to be true, they always depend on the reliability of his own credible sources. Of course, he recommends that you consult with a qualified investment advisor, one licensed by appropriate regulatory agencies in your legal jurisdiction, before making any investment decisions, and barring that you are encouraged to confirm the facts on your own before making important investment commitments. © Copyright 2015 Gordon T Long. The information herein was obtained from sources which Mr. Long believes reliable, but he does not guarantee its accuracy. None of the information, advertisements, website links, or any opinions expressed constitutes a solicitation of the purchase or sale of any securities or commodities. Please note that Mr. Long may already have invested or may from time to time invest in securities that are recommended or otherwise covered on this website. Mr. Long does not intend to disclose the extent of any current holdings or future transactions with respect to any particular security. You should consider this possibility before investing in any security based upon statements and information contained in any report, post, comment or suggestions you receive from him.